1. 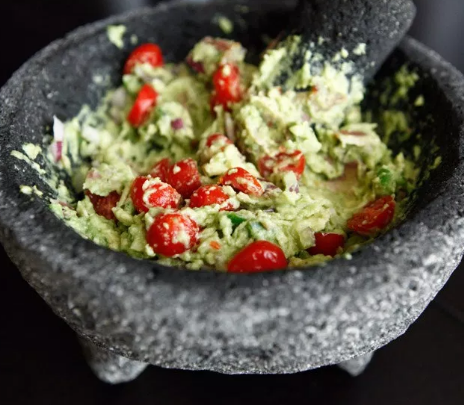 Add avocados and lime to a bowl. Smash them together until they become like a paste. 2. Add onions, garlic, pepper and bacon, and use a spoon to mix them together until incorporated. 3. Add cherry tomatoes and mix. 4. Sprinkle salt and pepper to taste. 5. Enjoy with carrots, celery or broccoli!